According to previous Census data, Florida had the second highest percentage of uninsured children in the entire nation, and Florida ranked third in the country for the number of uninsured children. More than one in six children in Florida, or 797,000 children, had no health insurance in Florida. An estimated 8.6 million children had no health insurance coverage in the U.S. in 2007, and Congress passed two pieces of legislation that could have cut the number of uninsured children by almost half. President Bush vetoed both bills. The vast majority of uninsured Florida children came from families where at least one parent worked. More than two-thirds of uninsured children (or 71.4 percent) were living in Florida households where at least one family member worked full-time all year long. More than half (or 60.7 percent) of these uninsured children were from low-income households with incomes below twice the poverty level. More than half (or 58.6 percent) of uninsured Florida children lived in two-parent households. Children make up about half of Medicaid's 42 million enrollees. Bills were introduced in both the House and Senate in 2008 to boost the Medicaid matching rate, but they were not included in the economic stimulus package that ultimately passed. The U.S. has the highest Gross National Product (GNP) per capita in the world. It also has a lower life expectancy than nearly all the other rich countries, and even a few poor countries, despite being responsible for half of the world's health care bill. The U.S. also has the highest poverty levels of any wealthy country with large health disparities, and poor health outcomes. National health care reform was modeled on the groundbreaking 2006 legislation of Massachusetts, which required adults to have health coverage. In Massachusetts, most people continue to receive insurance through employers with no changes. Those who were previously uninsured are now covered by subsidized programs such as MassHealth (Medicaid), the Children's Health Insurance Program, and the employer-based Insurance Partnership Program. More people signed up for coverage at work, or bought coverage through the new exchange (the Commonwealth Health Insurance Connector Authority). Those who cannot afford insurance may obtain a waiver, but few have done so. Ninety-seven percent of adults in Massachusetts are covered by insurance now, and that's the highest number of any state. The largest increase in enrollment was implemented through the Commonwealth Care program, which allows those with a family income under the 300 percent federal poverty level to receive subsidized health coverage. Massachusetts also limits insurance companies from excluding people who have pre-existing conditions. That reduces the fear that insurance companies will drop you as soon as you get sick. The move toward universal coverage made it possible to prevent insurance companies from discriminating against people with pre-existing conditions. Now that legislation has passed at the national level, the critical implementation is just beginning. The goal is for Florida's residents to be able to invest in insurance that will be there for them if they need it, even when pre-existing conditions are found. That will make Florida health insurance a more secure investment. Those who can't afford it will also have greater access via subsidies so families and their children can receive long-overdue health care in Florida. 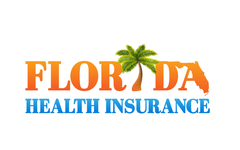 0 Response to "Greater Acces to Insurance Health in Florida "